It is my desire to help bring the much due and needed awareness to this disease. I was misdiagnosed for years with MS (Multiple Sclerosis), Transverse Myelitis (likely true secondary to Lyme and/or viruses), Post-viral Demyelinating Syndrome (also likely true), CFIDS (Chronic Fatigue Immune Dysfunction Syndrome) and Chronic Mono (which is true but isn't the root; its secondary) among a few others. 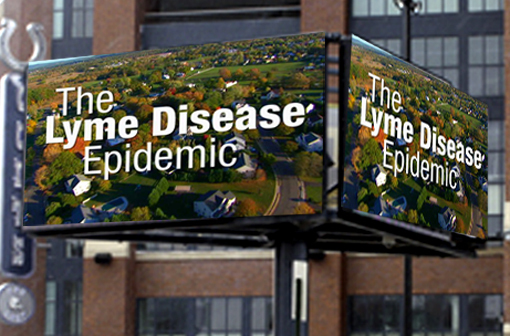 We found out in 2010 that I really have Chronic Lyme Disease; the true root of this illness of 18 years. I did check this out...very good of you to share it Michelle. I have tried to join ILADS but they will not accept my email address as valid...Hmmmmm seeing the pictures of chidren is especially hard to deal with. So wrong...so very wrong. I know, Renee. It's heart wrenching to see the kids. As difficult as it for us to deal with as adults; I can't imagine what it is like on their little bodies. Lord have mercy!I pray for a breakthrough in Lyme. Pam, thanks for taking the time to read this and comment. I really appreciate that. Love you too cousin!